Encrypt and digitally sign your files and email attachments with our simple to use PGP compatible file encryption software. Securely delete your files beyond US Government DOD standards. Send and receive PGP files without the complexity and cost of using PGP. 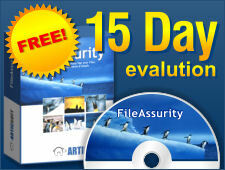 This simple to use file encryption software ensures you will be communicating securely with others in less than a couple of minutes. If you don't need the feature rich functionality of FileAssurity Open PGP Security but require PGP compatible encryption software at a fraction of the cost of competitor products then FileAssurity Open PGP Encryption is ideal for you. FileAssurity Open PGP Encryption has it's own GUI that replaces Windows Explorer for encrypting, decrypting, digital signing, verifying, and securely deleting files. Files can be protected for single users or multiple users. Why use FileAssurity Open PGP encryption software?